Tonight is the night of the Kodak Awards! It’s all VERY exciting! Everyone here at Team Living Spirit is simply giddy with anticipation at tonights events. We are officially up for the Kodak Best Cinematography, and the Kodak Audience Award for Best Film. There is still time to see the films and vote, so if you haven’t yet and can do so, try and make it. 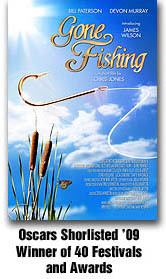 We hope to be shooting a video blog so over the next few days you will be able to really see just how things played out. 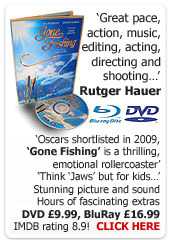 I really hope that for everyone involved in Gone Fishing, all our collective efforts are rewarded and we win something.